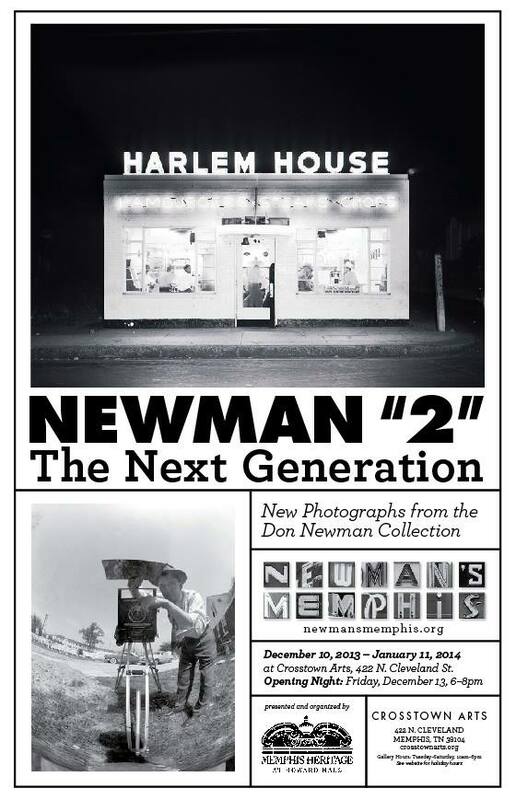 Memphis Heritage is excited to present a new and lesser known selection of Don Newman photographs at Crosstown Arts. Newman “2” will be on display at Crosstown’s 422 Gallery. The opening will be this Friday, December 13th from 6-8PM. This show will present nine large photographs produced as 48″X60″ prints. Learn more and RSVP on the Memphis Heritage Facebook invitation here.